Get up and running quickly with Amazon Echo - the hands-free speaker you control with your voice, and its voice control service, Alexa. The days of only being able to search for items on computers using text searches are long gone: voice search is rapidly becoming one of the most popular ways to find content on computing devices and the web. One of the leaders in this area is the Amazon Echo: a high-quality speaker which uses Alexa (a voice-controlled digital personal assistant) to perform a range of tasks: from playing music and making calls to smartphones, to answering questions and even controlling compatible devices in the home, such as turning on the heating. 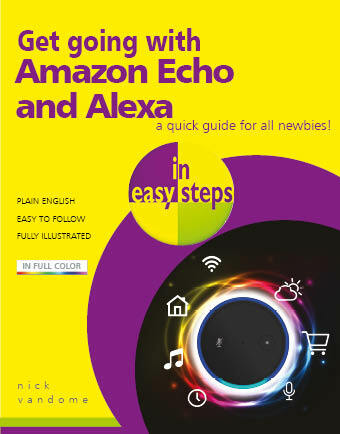 Although the Echo is an Amazon device, it can be accessed from most smartphones and tablets, using the Alexa app and an Amazon Account. 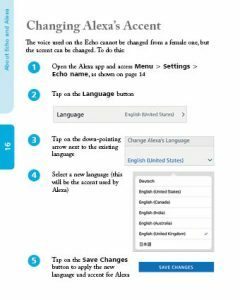 Get going with Amazon Echo and Alexa in easy steps leads you through the process of setting up the Amazon Echo, connecting it to your home Wi-Fi network and then controlling much of its functionality, so that you can start making the most of your digital personal assistant. 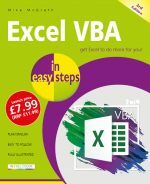 The book then looks at the common voice commands that can be used with Alexa and adding to its library of skills: it learns from your commands and can tailor content to your specific interests. Ask for a song, artist or genre from Amazon Music, Spotify, and TuneIn. Use multi-room music to play music on Echo devices in different rooms, and pair Bluetooth speakers with your Echo. Play audiobooks, radio stations, news briefings and more. Call or message anyone hands-free who also has an Echo device or the Alexa App. Find and book appointments on your calendar, and make lists. Set up voice purchasing, so that you can use the Echo to place, track and and cancel orders for you. Ask Alexa to control your compatible smart lights, switches, TVs, and thermostats, or request an Uber, order a pizza, get train times, traffic information, news, weather, sports results and more. 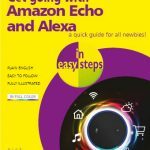 Get going with Amazon Echo and Alexa in easy steps shows how to quickly get up and running with this exciting digital personal assistant, and start transforming your day-to-day activities – all in easy steps.